Sarah Barrett, a native of the Philadelphia area, began her study of the cello at age eight. 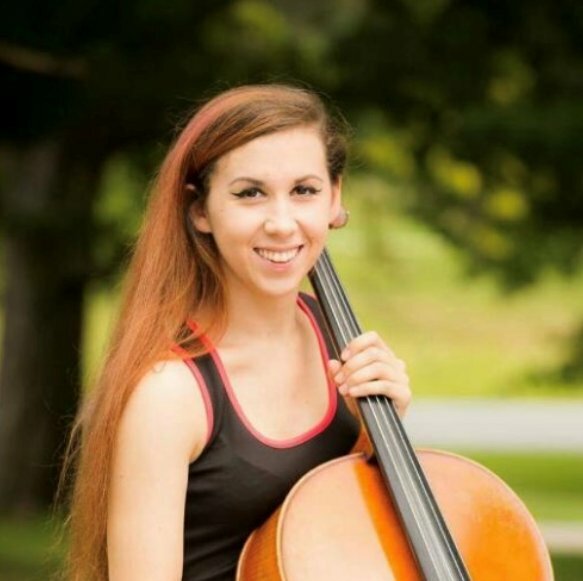 She holds a Bachelors of Music in Cello Performance from the Hartt School where she is currently pursuing a Masters of Music in Cello Performance and Suzuki Pedagogy. She studies with Professor Mihai Tetel, and has received Suzuki Training from Blake Brasch. Sarah also performs with the Hartt School Symphony Orchestra and is regular member of both the Torrington Symphony and the Beth El Temple Symphony. She has recorded on soundtracks for several short films and for music artists including Orice Jenkins and Kenny Hambler. Sarah maintains a private teaching studio and performs throughout the Hartford County area as a freelance musician. 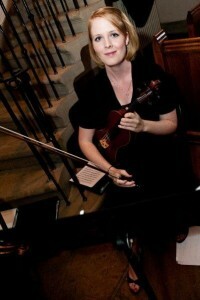 She has been teaching cello for 10 years, chamber groups and ensembles for 8 years, and violin/viola for 4 years. Sarah’s preferred teaching method is based in traditional styles with added elements of the Suzuki method, although strictly Suzuki method lessons are also available. She has a wide-ranging expertise teaching students of all ages and levels of experience. Sarah also has extensive experience with classical styles ranging from Baroque to Romantic, as well as musical theatre, opera, movie soundtracks, and pop music. Jenna is a native of Colorado Springs, CO. As a member of a military family she has had the privilege to live in San Vito, Italy as well as the Boston, Massachusetts area gathering many musical influences. Jenna has played violin for 20 years. While living in Colorado Springs she performed with the Young Concert Artists and took lessons with Rebecca Lee, Principal Second Violinist of the Colorado Springs Philharmonic. She also had the opportunity to perform in the pit of the Pulpit Rock Churches production of Fiddler on the Roof. She graduated from Denison University, in Granville, OH. in 2007 with a B.A. in Music and continued her musical education at the University of Tennessee in Knoxville, TN, where she graduated with a M.M. in Musicology, with a focus in Ethnomusicology. At both institutions she performed with the university orchestras. At Denison University, Jenna also performed with the university bluegrass ensemble gaining advanced fiddling skills and techniques from Andrew Carlson, Georgia State Champion Fiddler and 2000 Ohio Grand Champion Fiddler. With the ensemble she also had the opportunity to perform at the Midland Theatre in Newark, OH, opening for the 2005 International Bluegrass Music Awards Entertainer of the Year “Cherryholmes”. She also traveled to Dahlonega, GA. with the ensemble for a bluegrass music presentation at North Georgia College & State University. At both Denison and University of Tennessee, Knoxville Jenna studied extensively in music theory, ear training, music composition & music history. James Queiros has his degree in Music Education from the Hartt School of Music. At Hartt, he has studied closely with renowned bassist Robert Black and education expert Dr. Joshua Russell. James is able to teach all generas of music including classical, jazz, folk and popular music. 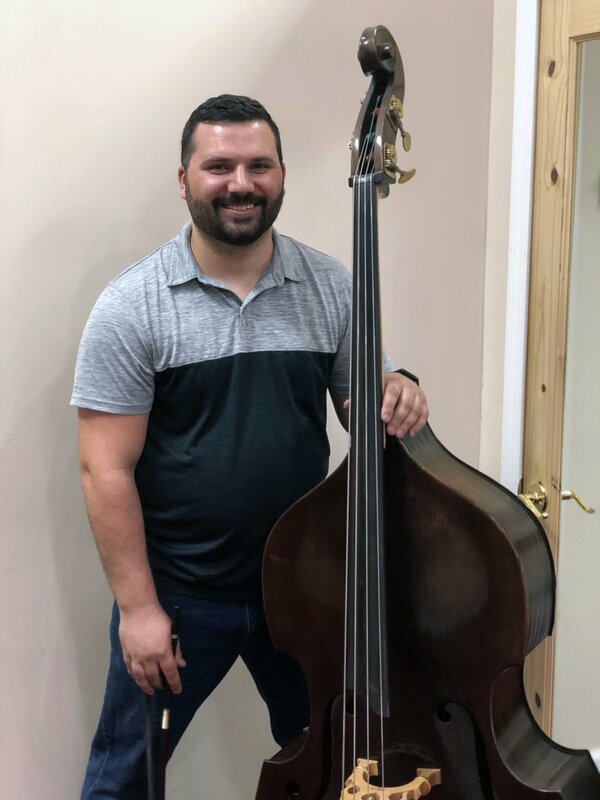 He is the co-founder of the Mikey’s Place Summerfest, an annual concert of young local musicians with all proceeds going to benefit the Mikey’s Place handicap accessible playground in Wethersfield.